Believe it or not, our beloved Huntsville has some enjoyable outdoor activities for people of all ages to enjoy. It’s always a great time to go outside and enjoy the great outdoors and try something different in Huntsville. Our small but memorable town has great parks, lakes, outdoor facilities, and college sports for everyone to enjoy. They will make your experience in Huntsville better and have you wanting to enjoy the great outdoors a bit more. So get ready to enjoy East Texas like never before. The following are five great outdoor activities we’ve found for you to do around Huntsville, Texas. 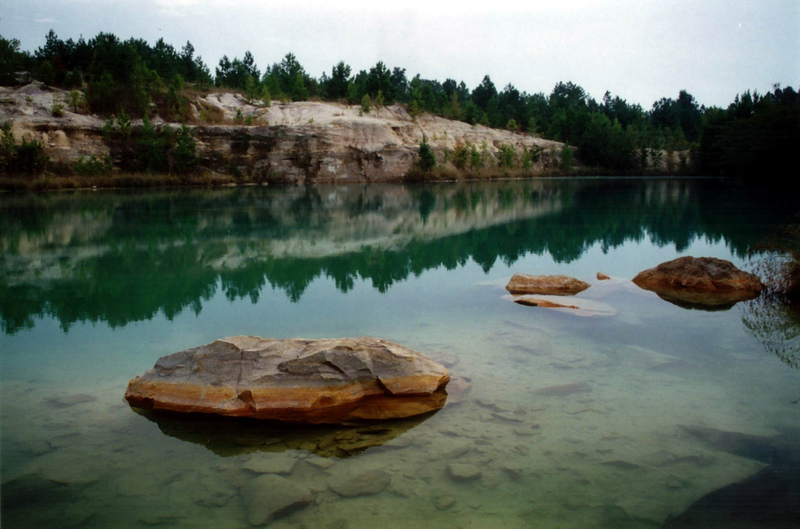 Huntsville State Park is home to some of the most amazing scenes in East Texas. The park gives its visitors the chance to explore by foot, canoe, or bike. Be sure to take advantage during warm weather days because visiting the park in the heat or in the cold can be exhausting. Nonetheless, the area looks amazing throughout the year. It gets green during the spring and summer, and starts to gain a nice autumn feeling during the fall and winter. You can choose to fish, swim, rent a boat, or borrow some of the park’s fishing gear while you’re there. Just be sure to check out the alligator safety tips because there are some reptile inhabitants in the park area. The park allows you to rent some of their screen-protected shelters or spend the night at one of its camping areas. The night stars can be enjoyed during a clear night because of the small amount of light pollution in East Texas. They also allow their visitors to rent some of the park’s nice pavilions and host an event at the park grounds. The prices are affordable but may vary depending on the spot. Huntsville State Park’s nature center offers its visitors interactive exhibits and other show-and-tell attractions. This spot is perfect for children to learn about the wildlife that lives at Huntsville State Park. The park’s facilities offer great interactive maps that will help you navigate throughout the park area. 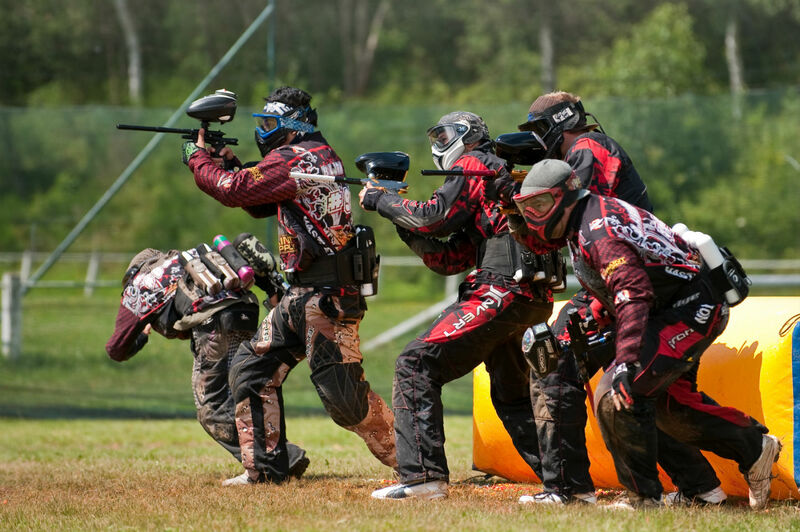 Head out today and enjoy a thrilling game of paintball with some friends. J-Zone Paintball has a nicely setup arena where you can play some of the most intense paintball games in the area. The site includes tires, walls, barrels, and trees that will help defend you from incoming trajectories during gameplay. J-Zone wants you to be able to experience paintballing at an affordable rate and comfortable location. Playing some paintball at J-Zone will certainly prove to be one of the best outdoor activities in East Texas. The facility provides all the paintballing equipment once you have purchased your admission to the grounds. This makes it easier on you, so you won’t have to purchase any paintball guns outside of the premises. The J-Zone Paintball facility has special offers for college students and season passes for those who are frequent visitors. J-Zone will also allow you to rent and reserve a private game for you and a group of friends and family. Note: You should always go accompanied by a group because there is no guarantee you will find other groups to join. Visiting Sam Houston State University will help you find plenty of outdoor activities to enjoy. You can roam around campus and view all the different buildings and artwork located across the institute. There are plenty of beautiful sceneries to view and points of interest to explore. You can also head on down to the university and experience how the Bearkats athletic teams play. Sam Houston State University also holds pep rallies to help make game days more special. It’s a great chance to get involved with the student and alumni community in Huntsville. 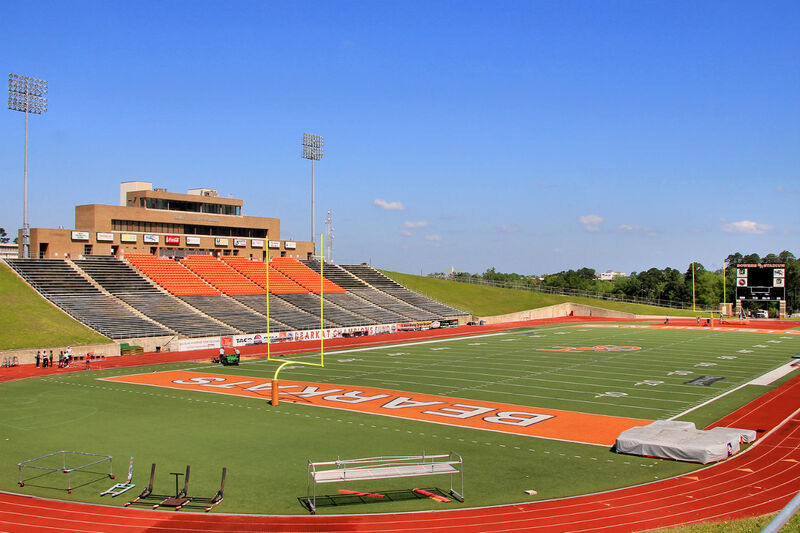 The atmosphere will fill you up with enough excitement to cheer the SHSU athletes on the field. SHSU also offers its students involvement in recreational clubs and leagues. These intramural sports also contain great athletes that are ready to have some fun. Watching intramural sports is a fun thing to do on campus because it’s a lot friendlier but continues to be intense. SHSU athletics is fun to watch and even better to participate in. Make sure you’re not missing out on the fun that goes on at the Sam Houston campus and get involved! 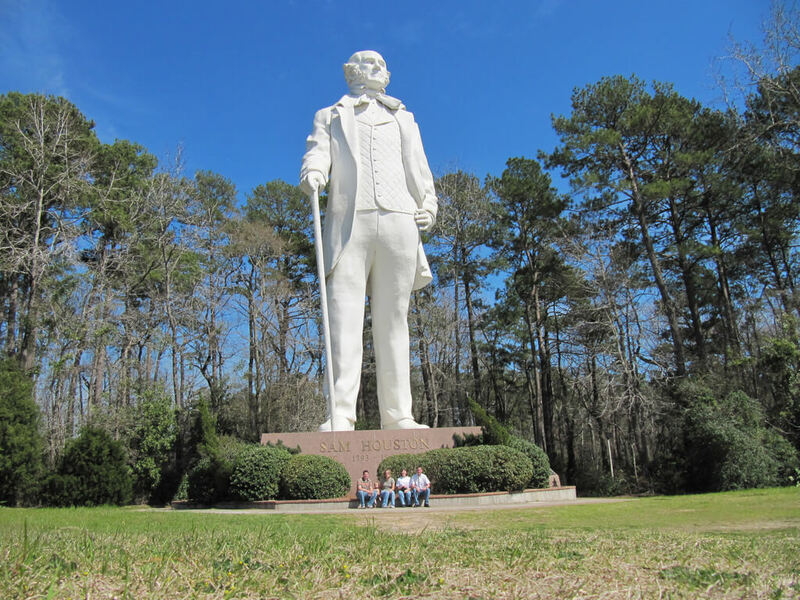 Huntsville’s very own Sam Houston statue is the tallest of all tributes to the American hero. He led the Texan army to independence during the Battle of San Jacinto of 1836. This impressive statue stands 67 feet tall in our lovely town. The statue was dedicated to the national hero on October 22, 1994 and has ever since kept its beauty. The Sam Houston statue also has a visitor center where you can get informed on this hero’s story. The visitor center provides unique videos, small brochures, maps, and a Texas ambassador that will help plan your day in Huntsville. You are also able to admire the large version of the Sam Houston face on the trail to the monument. You won’t want to leave your camera at home because this is something you’ll want to take a picture with. Be prepared because the size of the Sam Houston statue will leave you amazed. The Sam Houston Statue Visitor Center also contains a gift shop where you can purchase small souvenirs to remember your trip to this monument. Huntsville’s Blue Lagoon is the perfect spot to try something new in town. The Blue Lagoon is a diving facility dedicated to certifying divers in the area. Blue Lagoon has its doors open to anyone who wants to learn how to dive or wants to re-certify in diving. It’s something different to do in the area and is an experience of a lifetime. Earning your diving certification will open the doors to the underwater world for anyone who does it. The Blue Lagoon has plenty of platforms and boats to dive from while offering to sell its customers quality scuba gear. You will be able to witness the beauty of underwater ecosystems and get to meet new people if you ever decide to dive somewhere other than Texas. Note: Make sure you take a small grill and a cooler to enjoy the day out at the Blue Lagoon. There are no grills because the facility is dedicated to getting people scuba certified.